HomeStrategyPoker GuideWhich Online Poker Site Should I Play At? It’s a good time to be a poker fan because budding players are spoiled for choice when it comes to choosing which site to play at. However, with all the options available on the market, choosing your first online poker site can seem like a daunting task. However, fear not because thankfully PokerNews is here to help! What sign-up bonus does the site offer? What type of game will I be playing the most? What time of day will I be mostly playing? Those three simple questions should help you to narrow down your choice substantially. 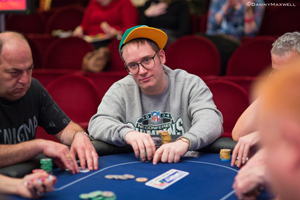 Top players, such as Sam Grafton, often play at several different online poker sites. With over 50 million registered players, the busiest online poker site by far is PokerStars. The world’s biggest card room offers a diverse range of cash games at all stakes and formats, all of which are available to play 24 hours per day, seven days per week. No other provider offers more sit ‘n’ go tournaments around the clock than PokerStars, making the site an ideal choice for beginners and professionals alike. The second largest online poker brand is 888. Since the sites inception in 2002, 888poker has grown to attract millions of users, offering unique bonuses and offers as well as a healthy mixture of satellites and sit ‘n’ go tournaments. Read our reviews of the biggest and best online poker sites before making your choice and depositing your money. Created as a result of the Bwin and PartyGaming merger in 2001, PartyPoker is another of the leading lights on the online poker circuit. With excellent VIP services and rewards, coupled with headline tournaments like the Sunday Majors, PartyPoker could be the one for you. Other prominent poker rooms include Full Tilt Poker as well as those listed on the reputable iPoker Network (William Hill, Titan, Betfair Poker). PKR is a major player in Europe and most of their traffic arrives during peak European hours of 6:00pm to 12:00am during weekdays and most weekends. If you would like to find out some more information or have any queries whatsoever then you can email the PokerNews support team and they will do everything in their power to offer you full assistance.